Cyberattacks have become almost the norm these days. It seems like nearly every other day the evening news is reporting about the latest giant to fall victim to these cybercriminals. Our favorite store chains, our banking and credit systems, and even our own government’s computer systems have all been successfully breached by these seemingly invisible attacks. So how do you protect yourself, your business, and your investments from an attack you can’t possibly see coming your way? Carbon Black is a great solution for protecting your business. They offer a host of security products and services, each aimed at guarding you from the ever-present threat of a security breach. Reward Expert recently spoke with Ryan Murphy, Sr. Public Relations Manager for Carbon Black, to learn more about the products and services that they offer. The company was founded as Bit9, Inc, in 2002 and later merged with Carbon Black in February of 2014. Today the company is lead by some of the highest regarded experts and thought leaders in the industry. From former FBI operatives and a prior U.S. Department of Defense security position holder to those who have authored numerous publications and hold multiple patents, the leaders at Carbon Black know the industry better than anyone else in the world. This explains why over 3,700 customers around the world and more than 30 of the Fortune 100 companies trust them to safeguard their critical information. These days, detecting cyber threats and predicting possible breaches and hacks are a major focus for organizations around the globe. That is why Carbon Black’s products and services are held in such high regard amongst industry leaders. With some of the greatest minds in the industry leading the forward progress of Carbon Black, the future is looking very exciting. “The most exciting new focus for Carbon Black has been the Cb Predictive Security Cloud (PSC), a converged endpoint protection platform that delivers next-generation security and operations services through the cloud,” said Murphy. 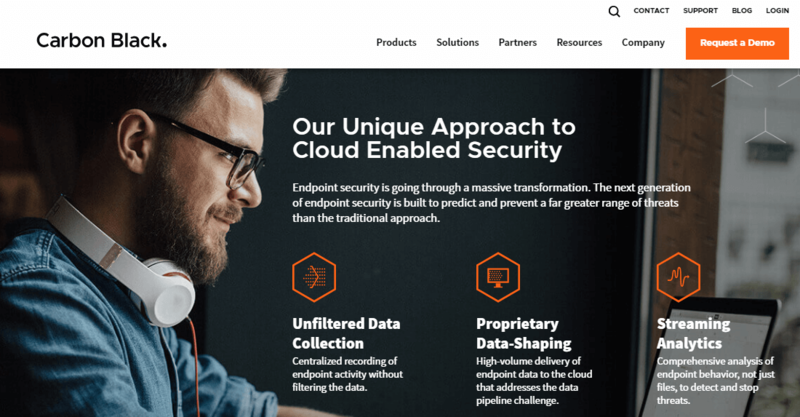 According to their website, their data-focused technology approach fundamentally differs from all other security vendors. Their platform is capable of ingesting massive amounts of endpoint data in real time, while applying advanced “streaming analytics”. This allows their system to predict and prevent attacks that lie hidden within systems, including attack methods that have never been seen before. For more information about the products and services that Carbon Black has to offer, visit www.carbonblack.com today.